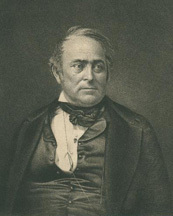 PHELPS, Samuel Shethar, a Senator from Vermont; born in Litchfield, Conn., May 13, 1793; graduated from Yale College in 1811; studied law; admitted to the bar and commenced practice in Middlebury, Addison County, Vt., in 1812; served in the War of 1812 as paymaster; member, Vermont house of representatives 1821-1832; judge of the supreme court of Vermont 1832-1838; member, Vermont State senate 1838-1839; elected as a Whig to the United States Senate in 1839; reelected in 1845 and served from March 4, 1839, to March 3, 1851; chairman, Committee on the Militia (Twenty-seventh Congress), Committee on Revolutionary Claims (Twenty-seventh Congress), Committee on Pensions (Twenty-seventy Congress), Committee on Patents and the Patent Office (Twenty-eighth Congress), Committee on Territories (Twenty-eighth Congress); was appointed to the United States Senate to fill the vacancy caused by the death of William Upham and served from January 17, 1853, until March 16, 1854, when the Senate declared that he was not entitled to the seat; died in Middlebury, Addison County, Vt., on March 25, 1855; interment in West Cemetery. Phelps, Samuel S. Mr. Phelps Appeal to the People of Vermont. Middlebury, CT: the author, 1846; Samuel S. Phelps. American Whig Review 12 (July 1850): 93-98.